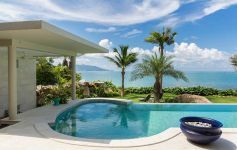 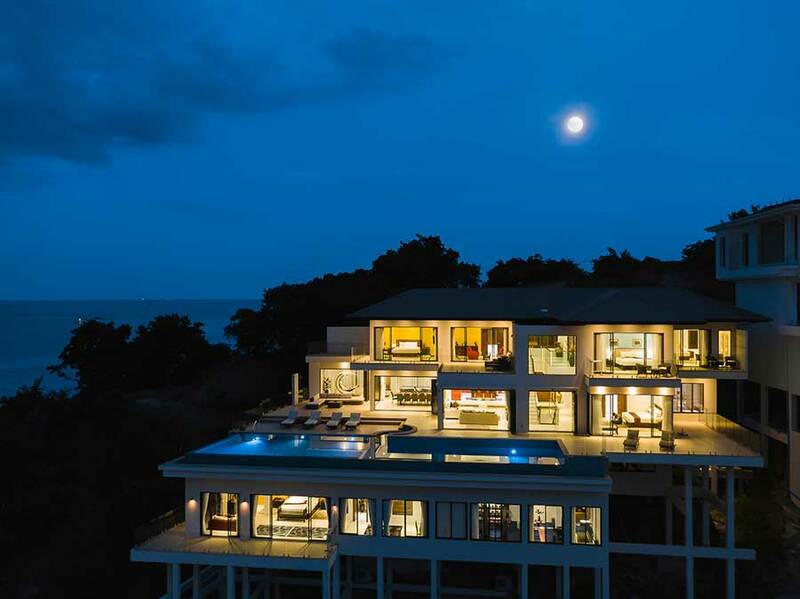 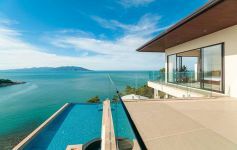 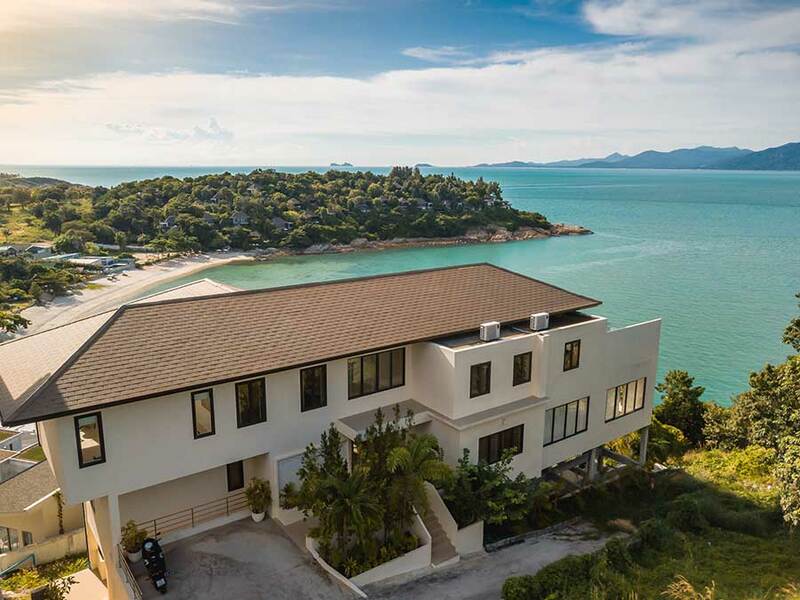 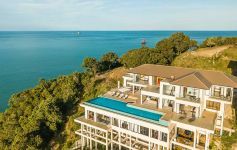 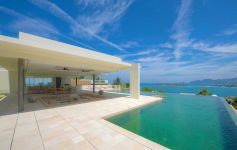 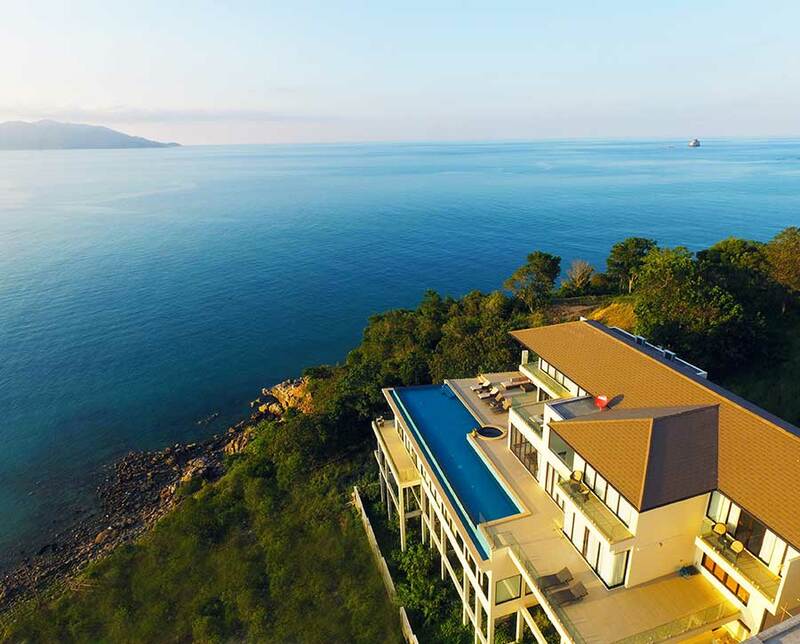 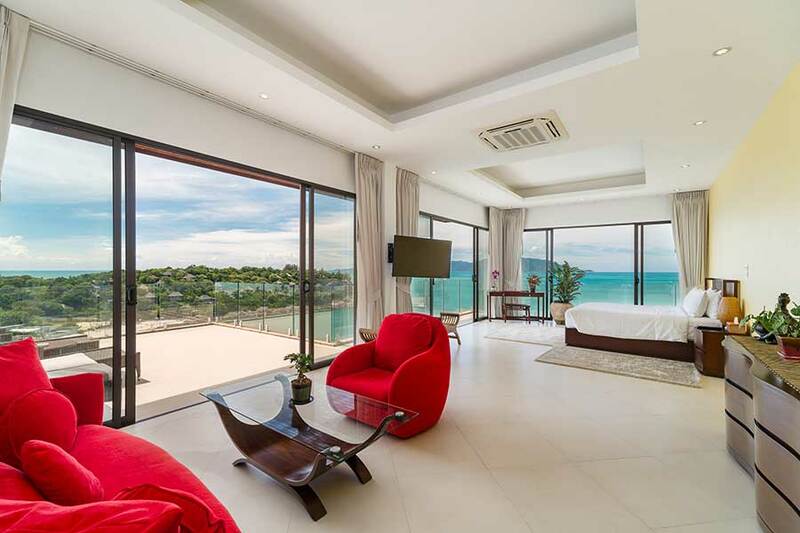 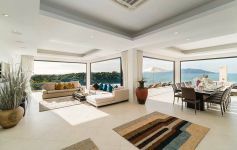 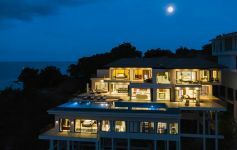 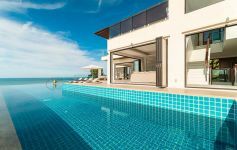 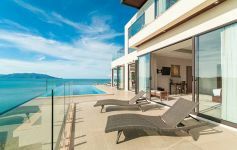 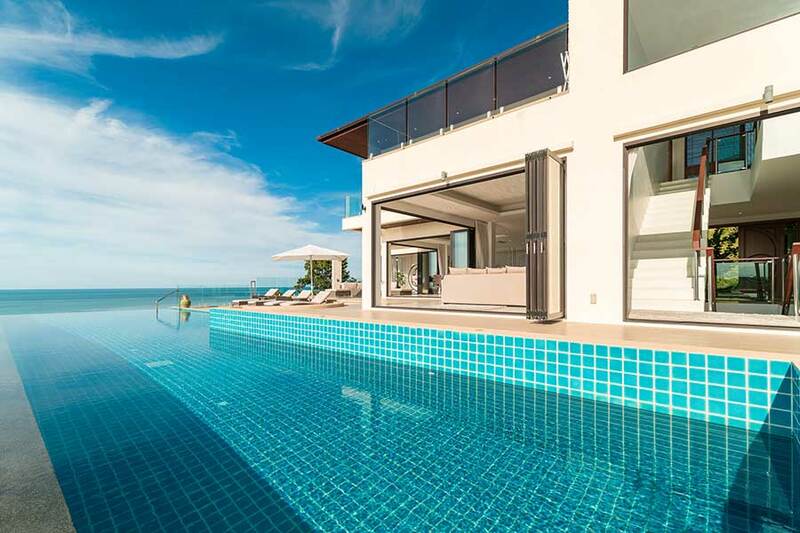 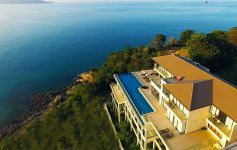 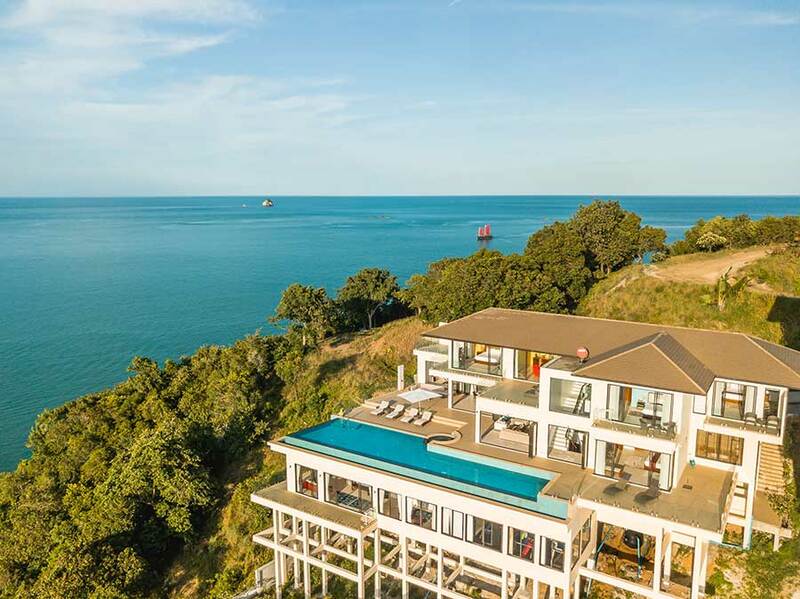 Perched west-facing on an exclusive headland in Plai Laem between the beaches of Samrong Bay and Tongsai Bay, the location and aspect of this jaw-dropping 6-bed villa could not be better. 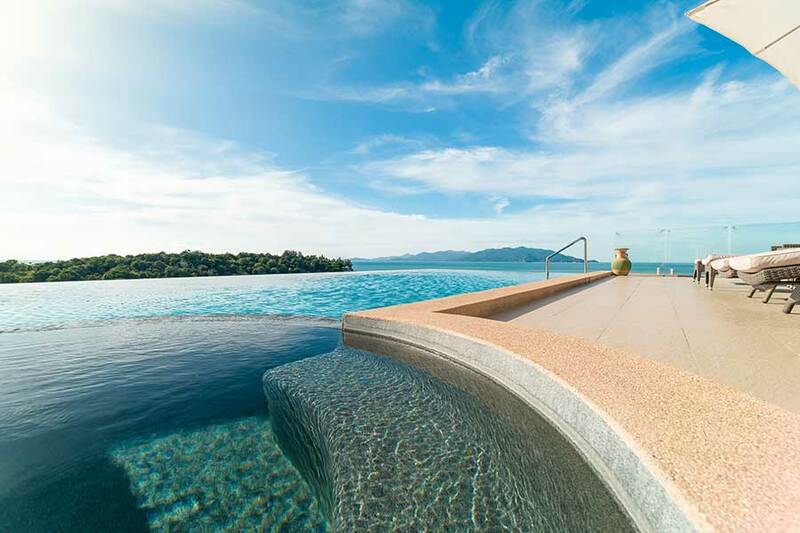 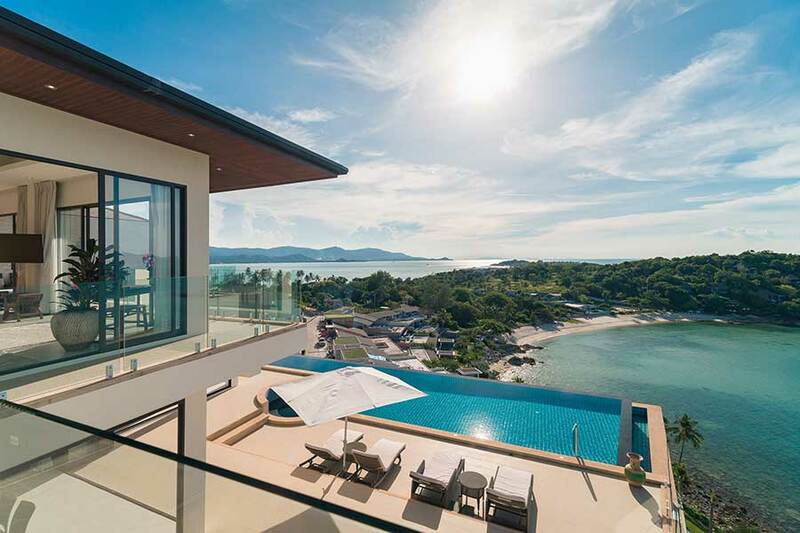 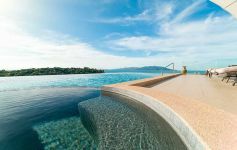 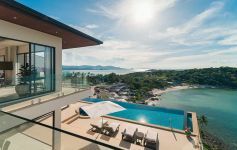 This is Koh Samui’s most prestigious neighbourhood characterised by 5-start resorts, such as the Ritz-Carlton and Six Senses Hideaway, and an assortment of exclusive bespoke private villas. 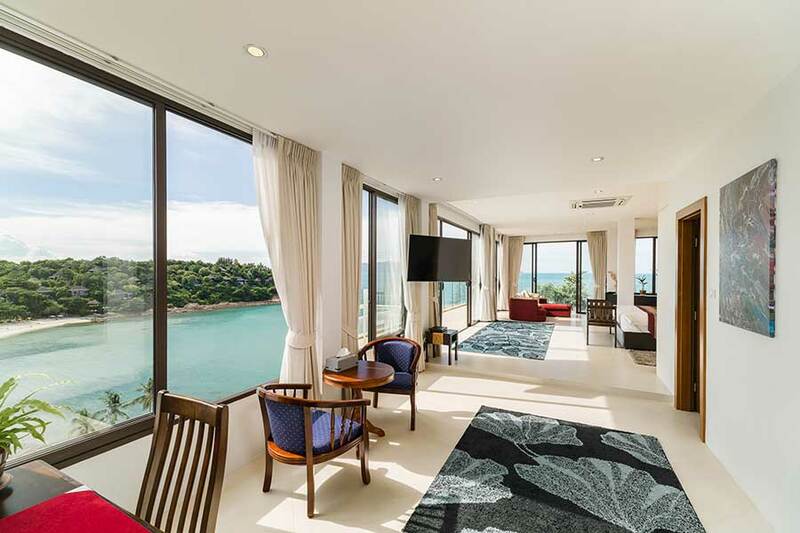 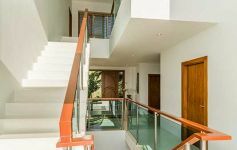 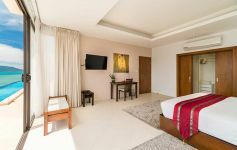 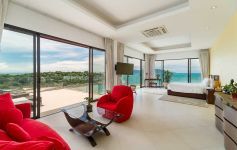 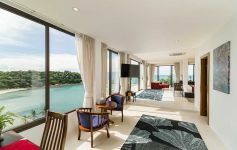 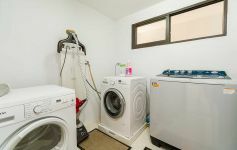 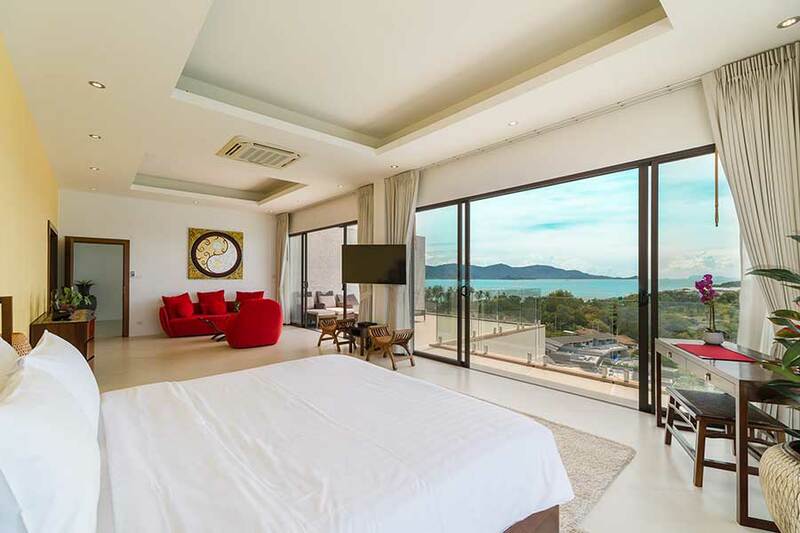 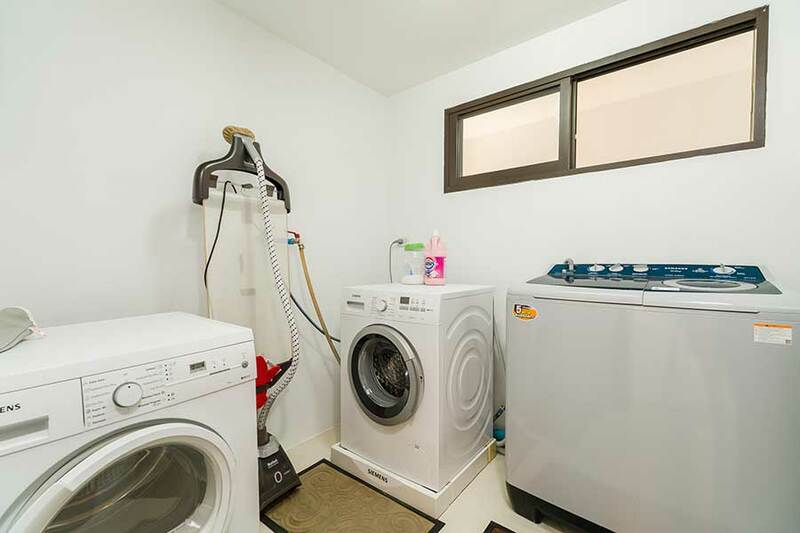 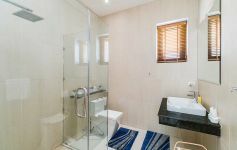 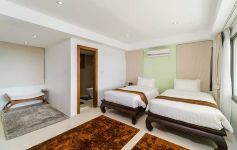 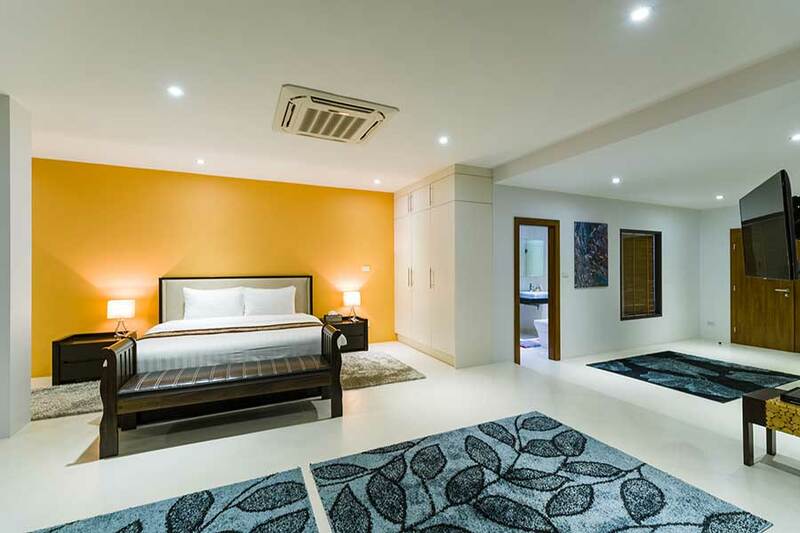 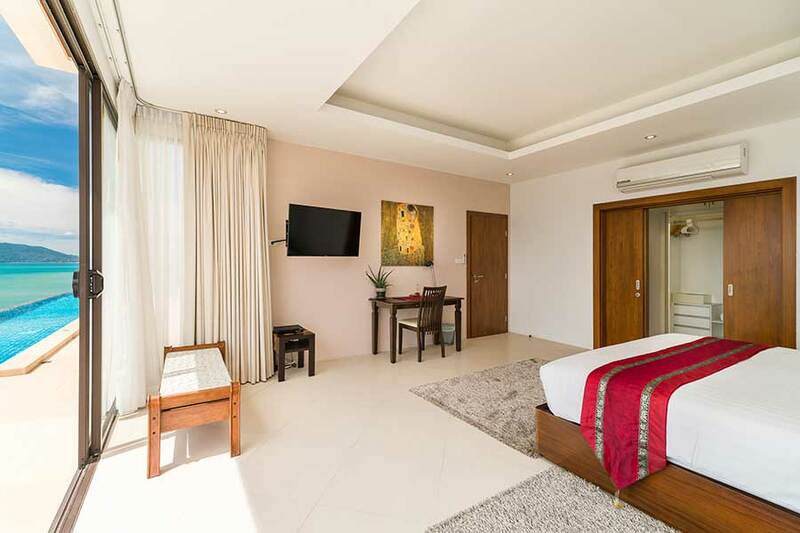 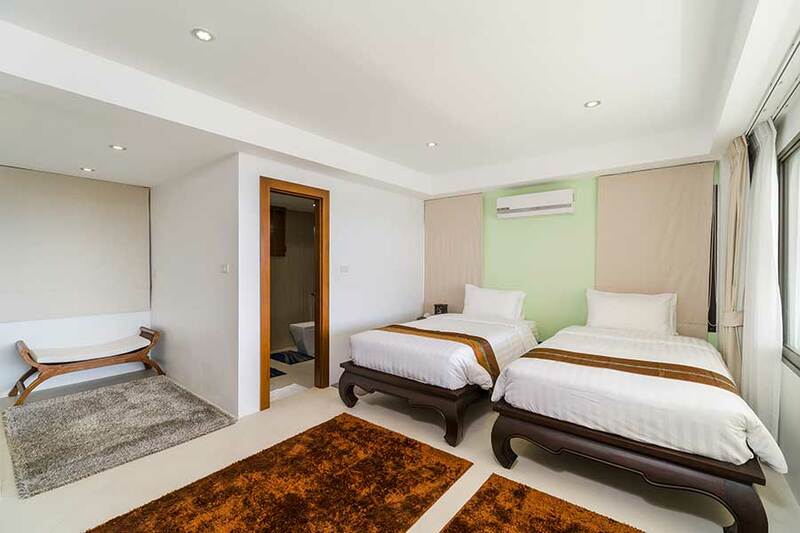 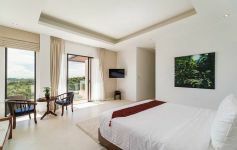 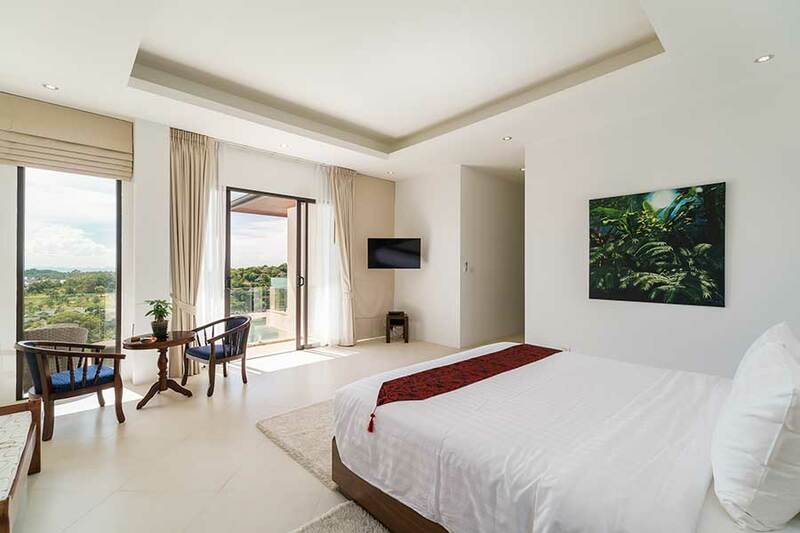 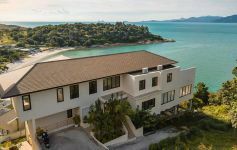 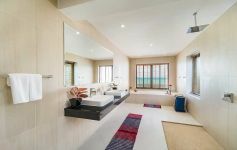 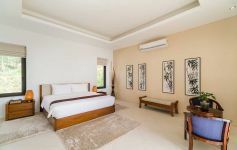 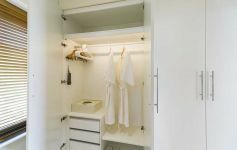 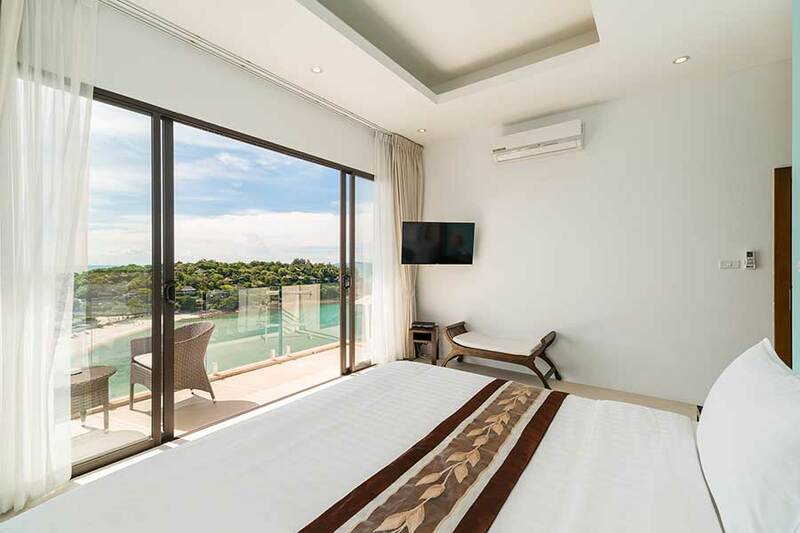 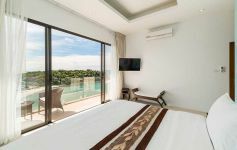 In terms of convenience, Samui International Airport, Choeng Mon Beach, the tourist hub of Chaweng and the trendy restaurants and chic bars of Fisherman’s Village are all within a very short drive. 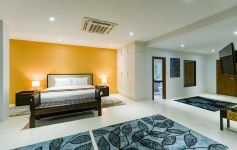 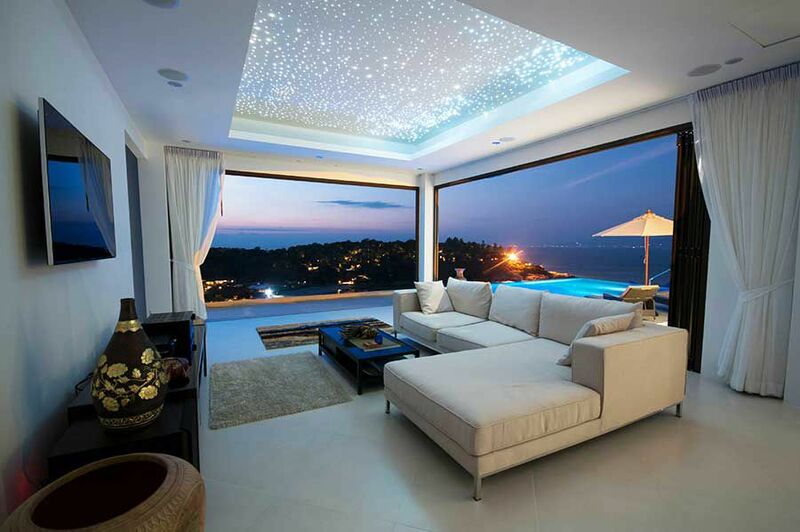 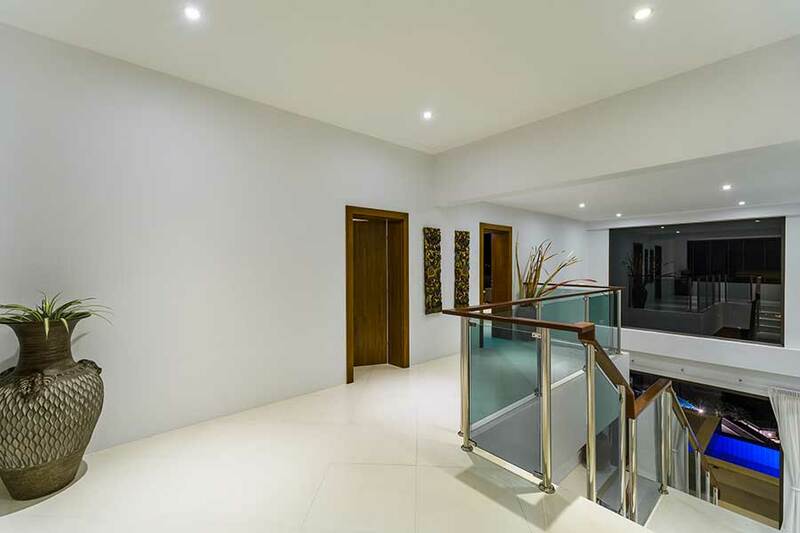 The property also benefits from being within a low-density gated estate with 24-hour security. 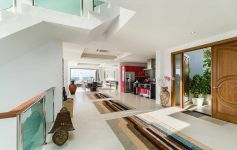 You enter the villa via double wooden doors which open to the vast open-plan living and dining area on the middle level. Patio doors at the front of the living area fold back on two sides leading to the infinity pool terrace with breath-taking ocean and coastal views. 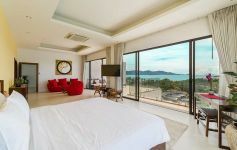 The neighbouring islands of Koh Phangan and Koh Som and even, on a clear day, Angthong Marine Park are all visible from this area. 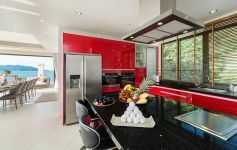 Adjoining the living area is the fully equipped contemporary high-spec kitchen with crimson cupboards and black granite central island. 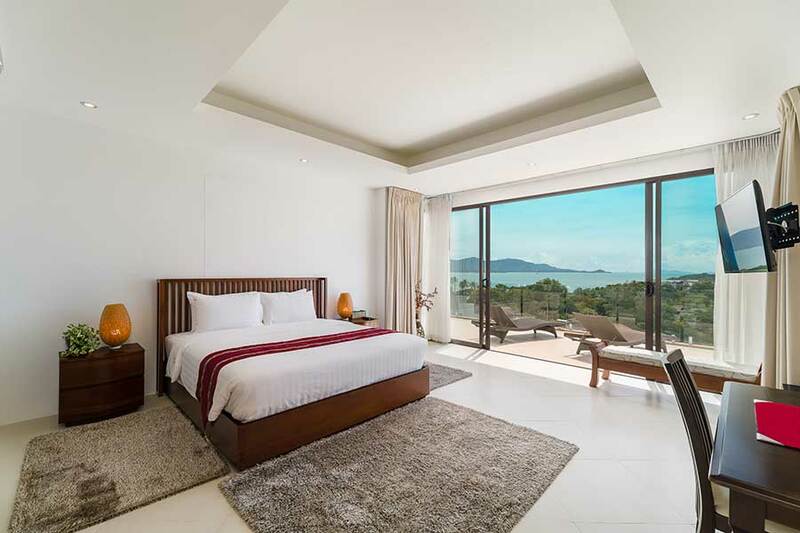 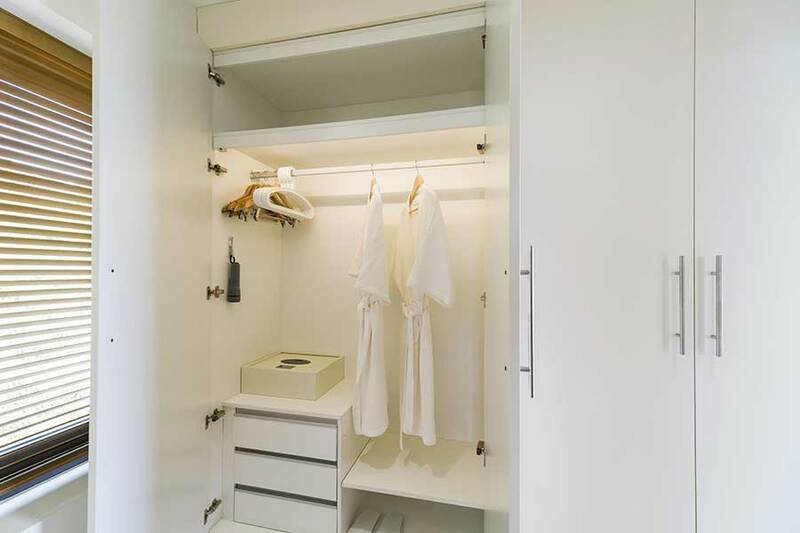 In terms of bedrooms, all six are double with sea views and their own deluxe en-suite. 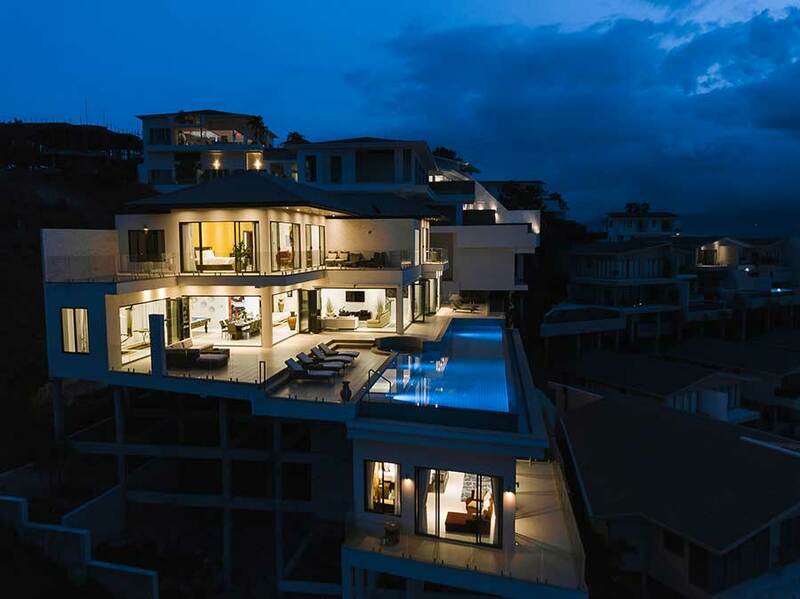 Three are on the upper level, one is on the ground floor and the last two are on lower level. 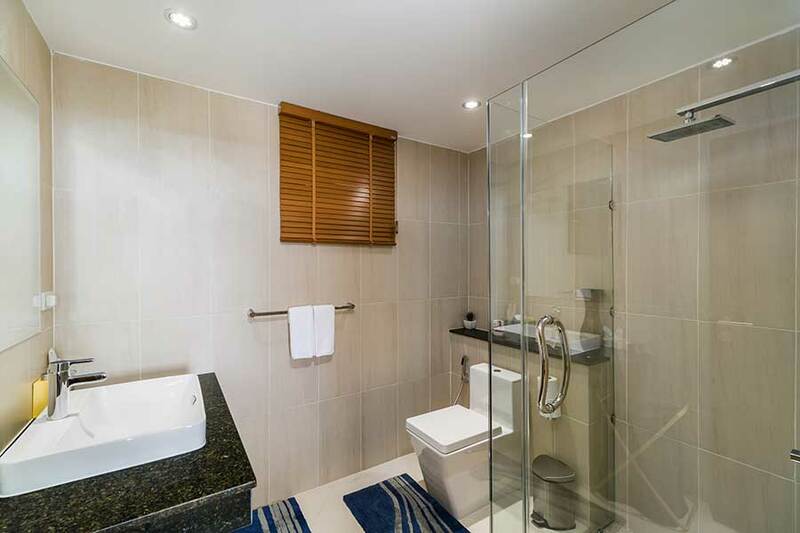 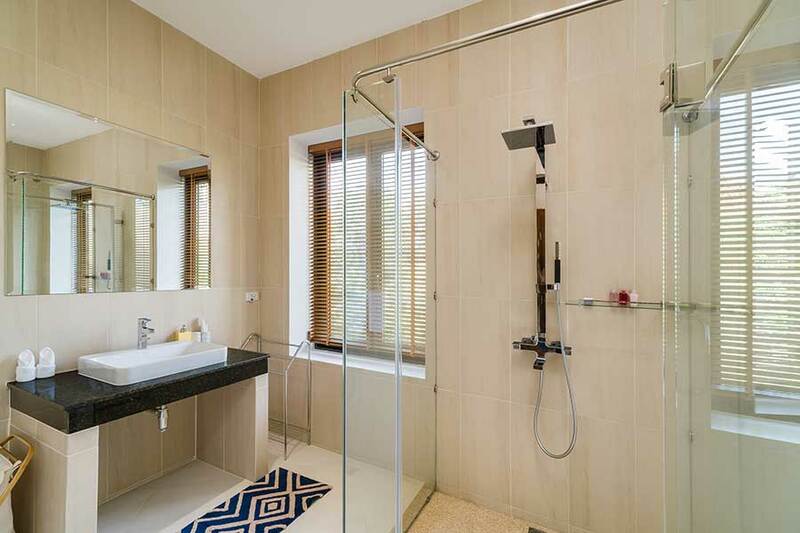 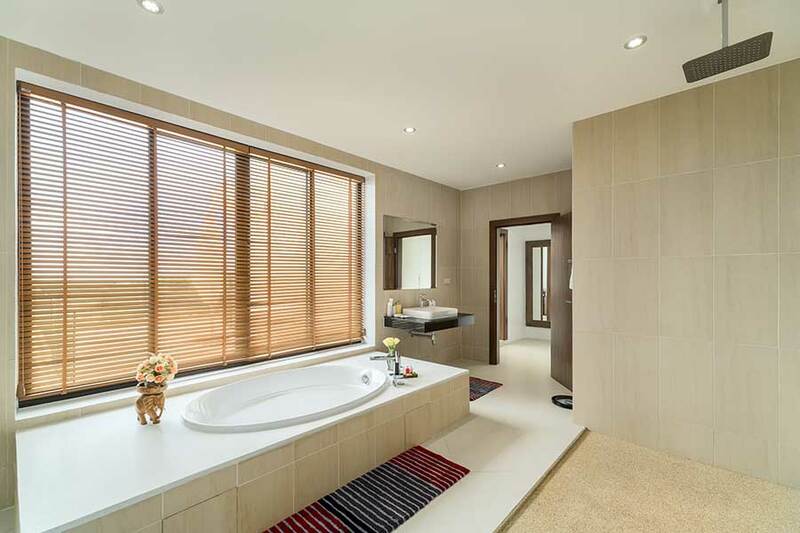 The two master bathrooms have their own jacuzzi tubs and all six have rain showers. 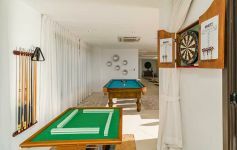 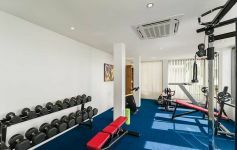 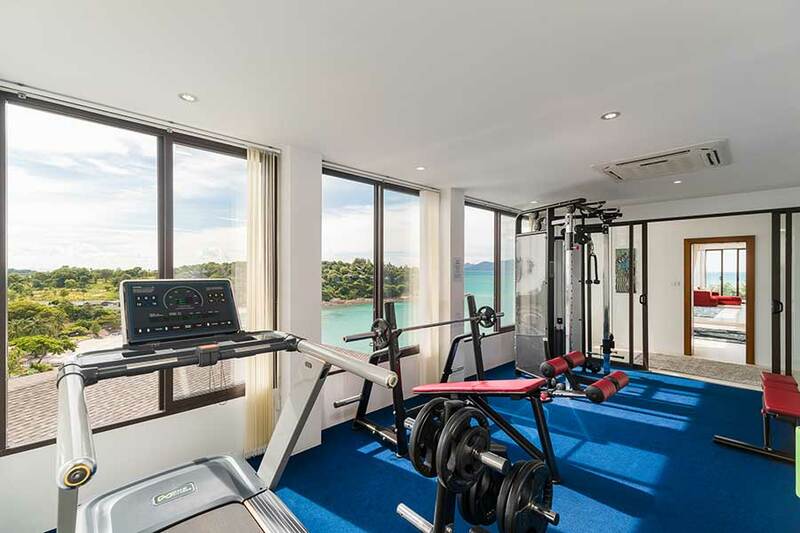 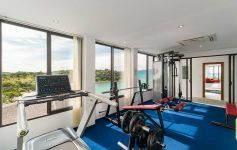 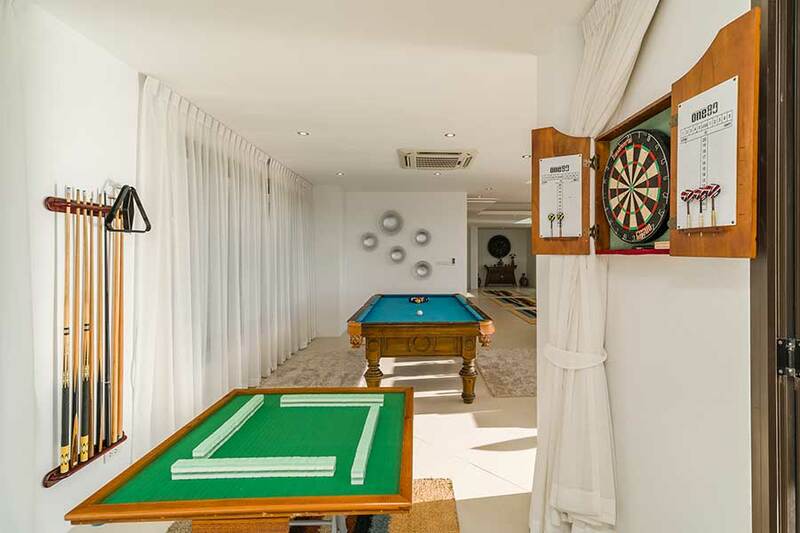 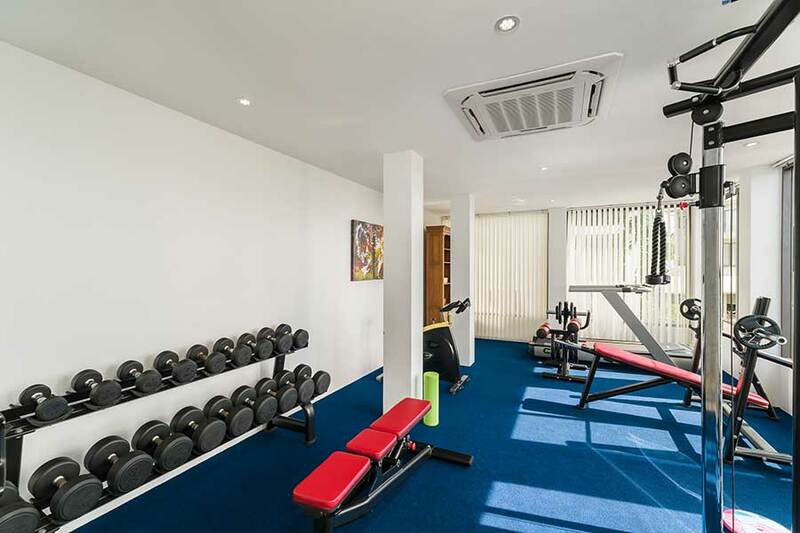 Other notable features include the impressive 12-seater dining table, a spacious and fully equipped gym, naturally with air-con, the games area with competition pool table and the additional staff kitchen on the lower level. 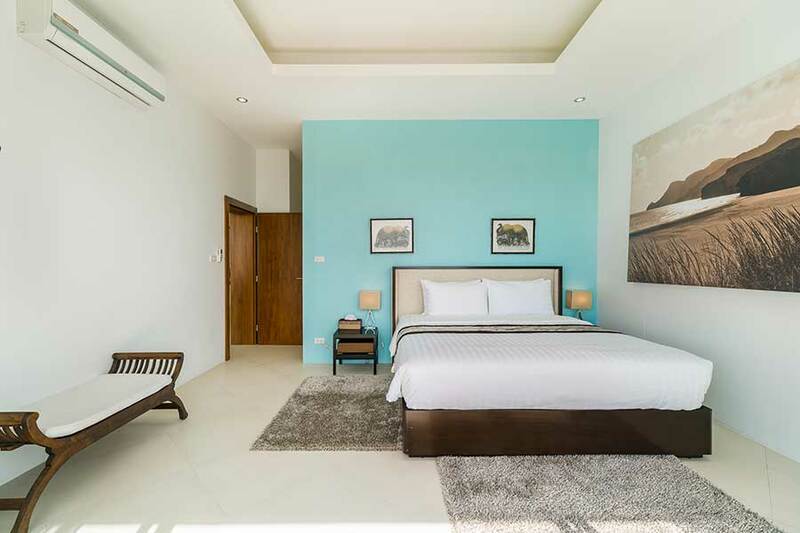 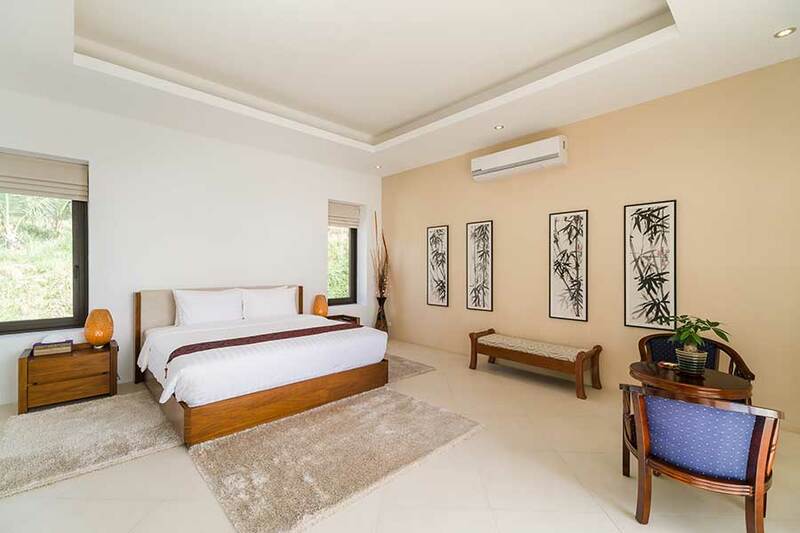 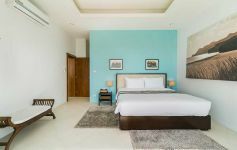 This is a well-established luxury holiday rental villa commanding daily rates of 850 to 1,590 USD per night depending on the season. 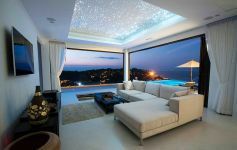 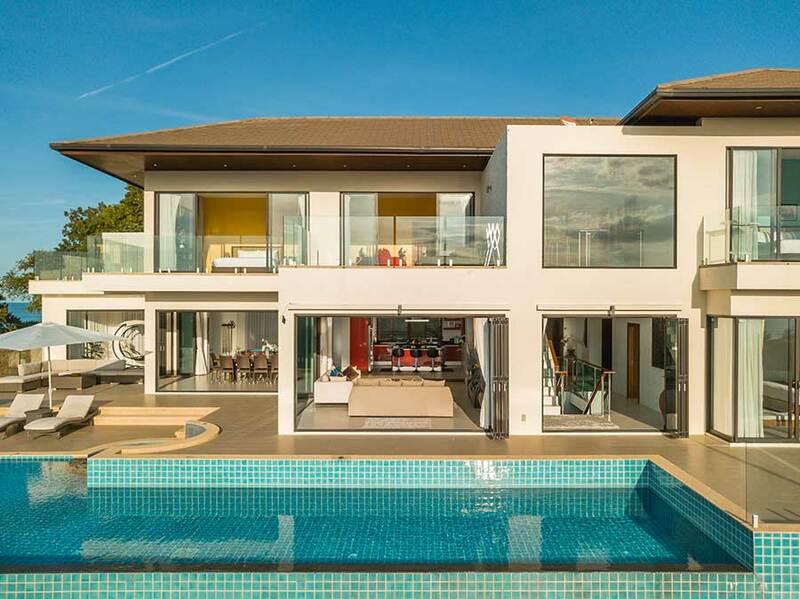 Completed in 2015, the villa is offered beautifully appointed and tastefully furnished to a very high-spec for 90,000,000 THB. 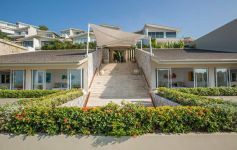 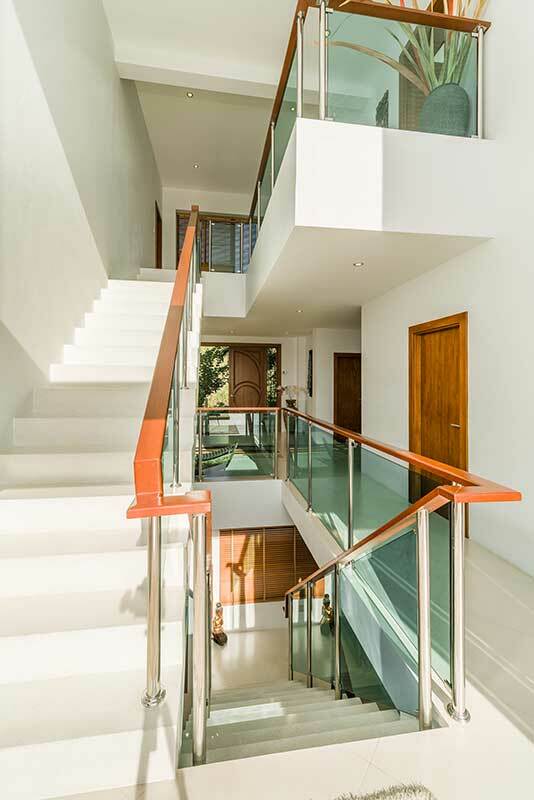 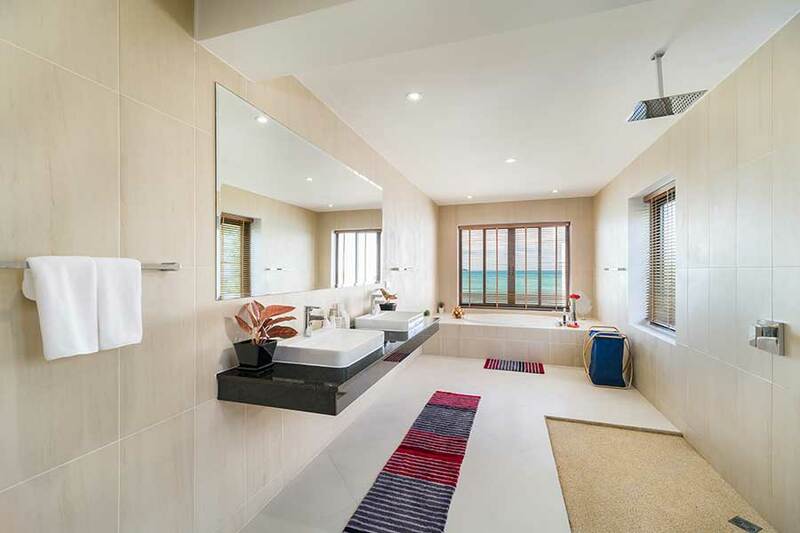 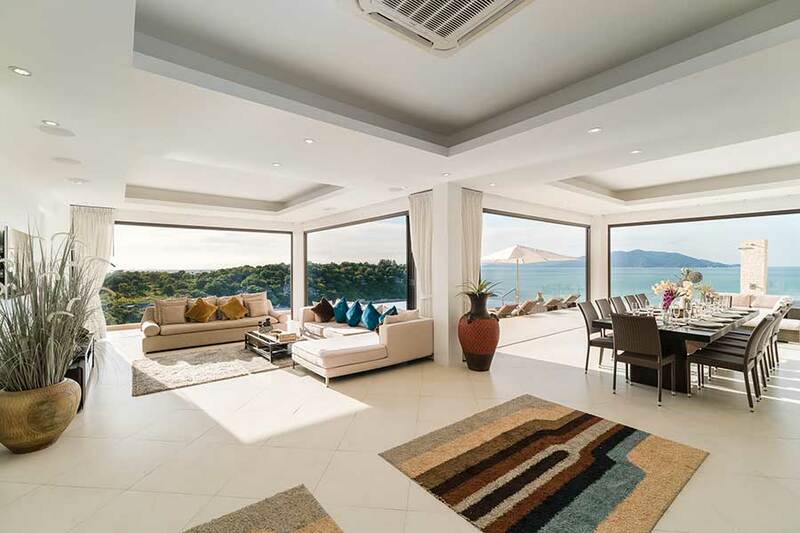 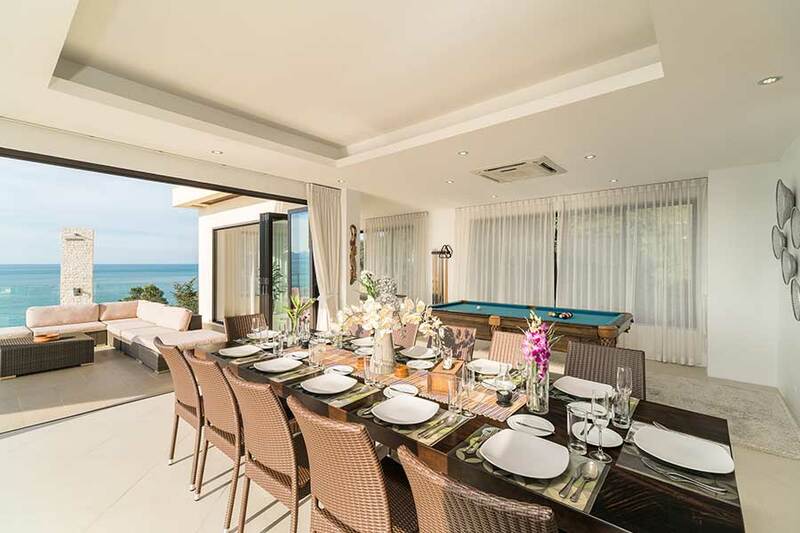 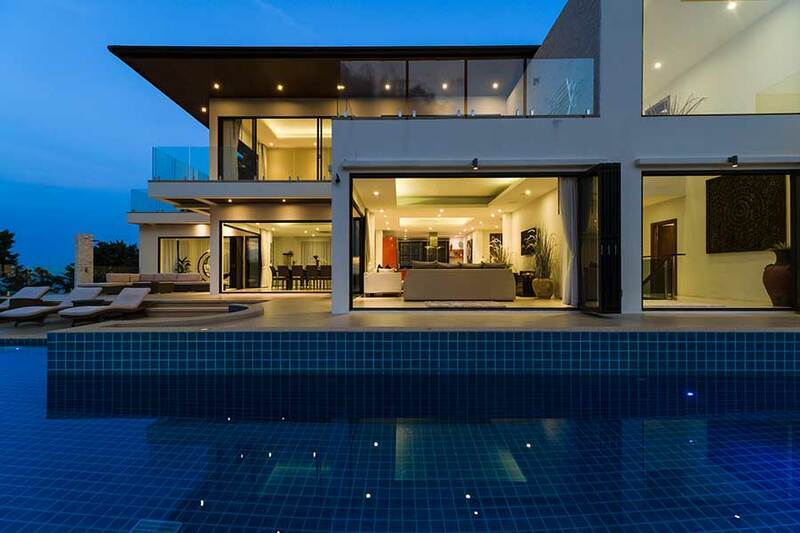 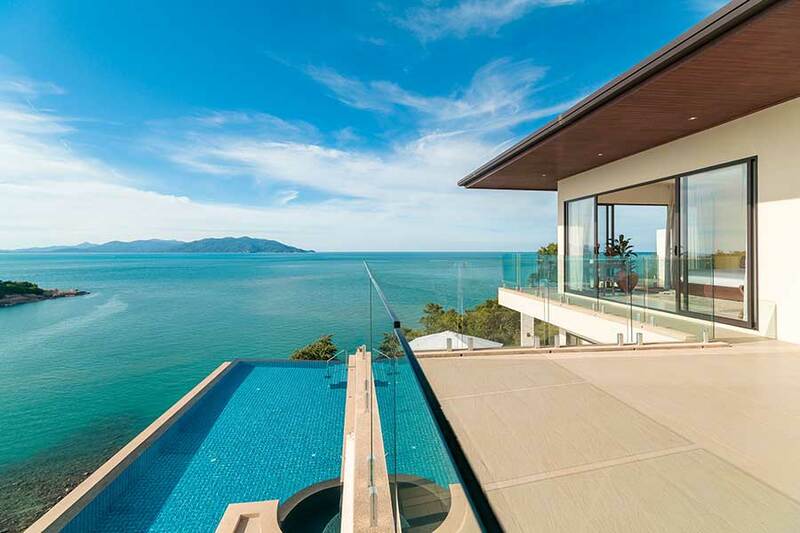 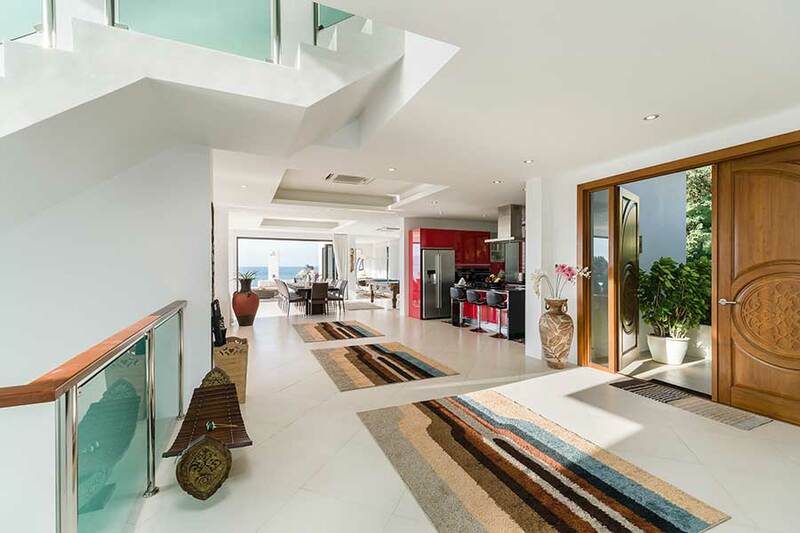 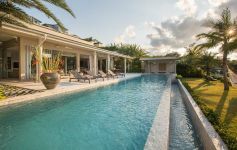 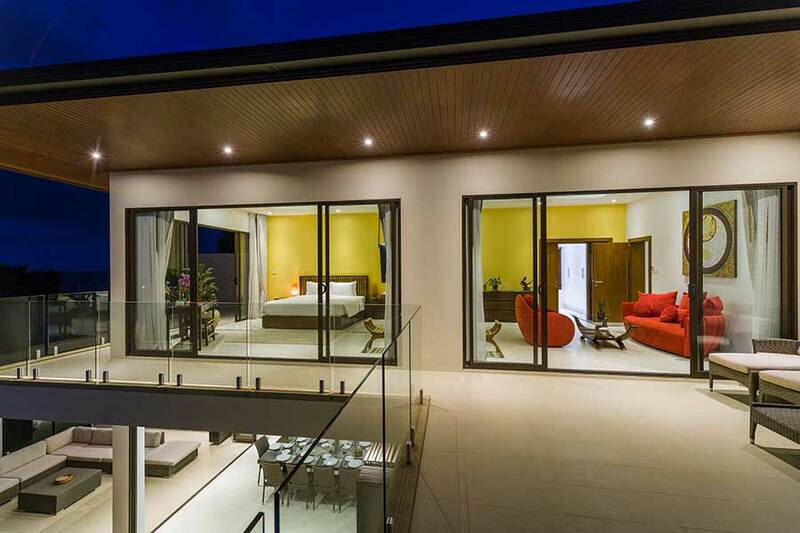 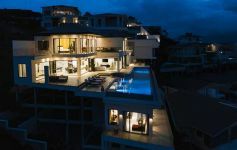 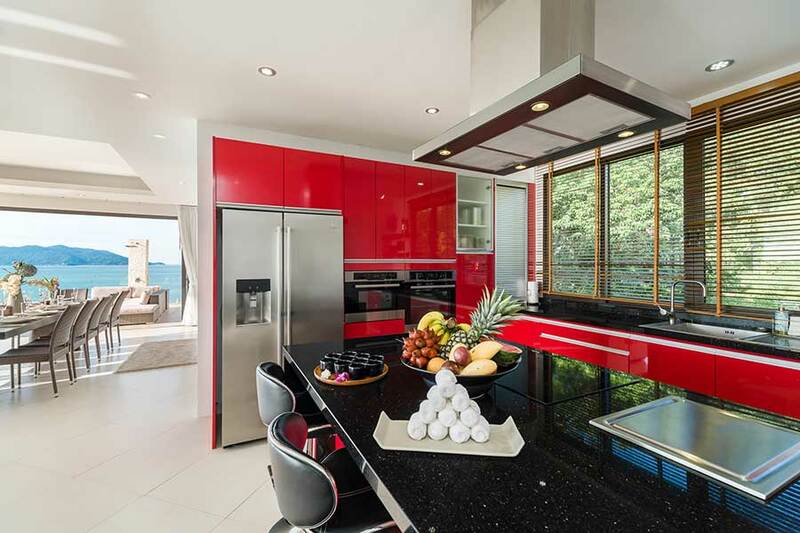 Immaculate contemporary 6-bed beachfront villa at prestigious Samrong Bay in the exclusive north-east peninsula. 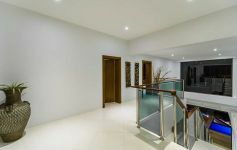 Brand new and fully furnished to the highest spec.